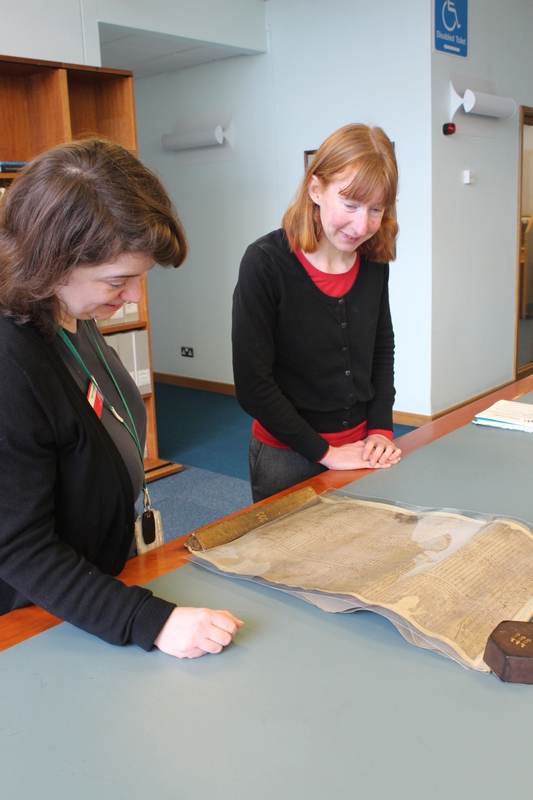 An exciting discovery has been made in the archives of Brentwood School, which are being catalogued in preparation for the opening of the new Learning Resources Centre in the summer of 2015. 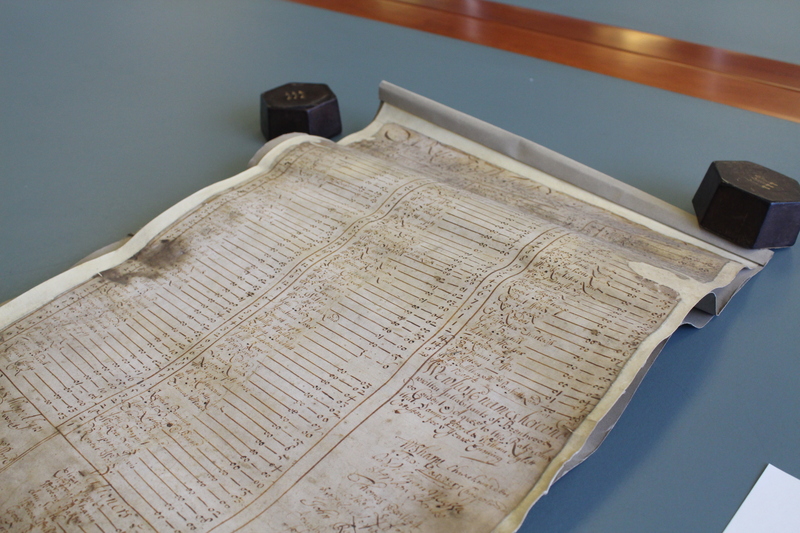 It is a parchment roll, protected by a cardboard cover, entitled ‘A Rate made the Tenth day of Aprill Anno Dom’ 1694 for the Reliefe of the Poore of the Towne of Brentwood’. It lists 146 heads of households (including a number of widows) and seven pensioners of the town. The person who was taxed the highest was a Mr Lambert, who was to pay 7s 6d. This may be the Francis Lambert who, in 1689, was summoned to court to answer for his contempt in refusing to serve as a petty constable even though he had been elected by the parishioners [ERO Q/SR 461/55]. A few were not affluent enough to pay any rate but were still included in the list (assessed as 0s 0d). The first name on the list is ‘Mr Barnard’: almost certainly Daniel Barnard, the schoolmaster of Brentwood School. Barnard had been appointed to the school in 1655 at the age of 24, already an ordained priest. A year later he married the daughter of the vicar of South Weald. According to R. R. Lewis, author of The History of Brentwood School (1981), Barnard was “one of the most successful schoolmasters of his time”. His pupils included the sons of Sir William Scroggs (Lord Chief Justice of England) and Erasmus Smith (English merchant and philanthropist). 1694 is a crucial date in the history of the parish of Brentwood. Brentwood chapel, dedicated to St Thomas Becket, was built in 1221 but was subsidiary to the parish of South Weald. The parish vestry controlled matters such as the care of the poor, the collection of poor rates, and apprenticeship of pauper children. 1694 is the year in which the first records of the chapel of St Thomas Becket begin, showing an important move towards autonomy. At Essex Record Office there is a record book of the Brentwood chapel starting in 1694 which includes vestry minutes, orders for relief, overseers’ accounts and nominations of officers [ERO D/P 362/8/1]. The battle for independence from the parish of South Weald was to take nearly two centuries: Brentwood did not become a separate parish until 1873, but it is clear that 1694 was an important step in this journey. This entry was posted in Archives, Collections, Essex history, Local history, News and tagged Brentwood, Brentwood School, discovery, early modern, poor rate, school by admin. Bookmark the permalink.